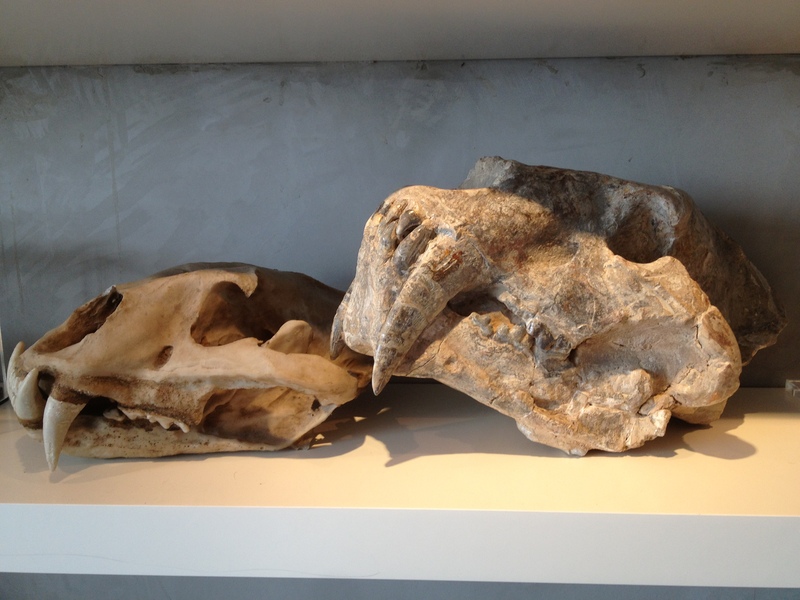 Perhaps one of the greatest predators that mankind ever had to come face-to-face against was the saber-toothed cat. Movies such as 10,000 B.C., Ice Age, The Croods, and even the Flintstones have popularised the Smilodon of the La Brea Tar Pits of 1.6 million to 10,000 years ago. North America’s Smilodon fatalis weighed in at 160 to 280 kg, had a shoulder height of up to 100 cm, and reached a body length of 175 cm. However, it was dwarfed by the machairodontine species, which lived in Asia, Africa, Europe, and North America from 11.6mya—126,000 years ago, and existed for about 11.5 million years between the Miocene and the Pleistocene. For instance, a large Machairodus kabir found in the Taurus-Menella in Africa weighed 350kg and was 130 cm tall, comparable with the largest Cave Lions and American Lions. In the 1997 book The big cats and their fossil relatives, palaeontologist Alan Turner and illustrator Mauricio Anton divided the genus Machairodus into two grades of evolutionary development: M. aphanistus and the North American “Nimravides” catacopis representing the more primitive grade, and M. coloradensis and M. giganteus representing the more advanced grade. The latter developed a longer forearm and shorter lumbar region, to more closely resemble living pantherine cats. 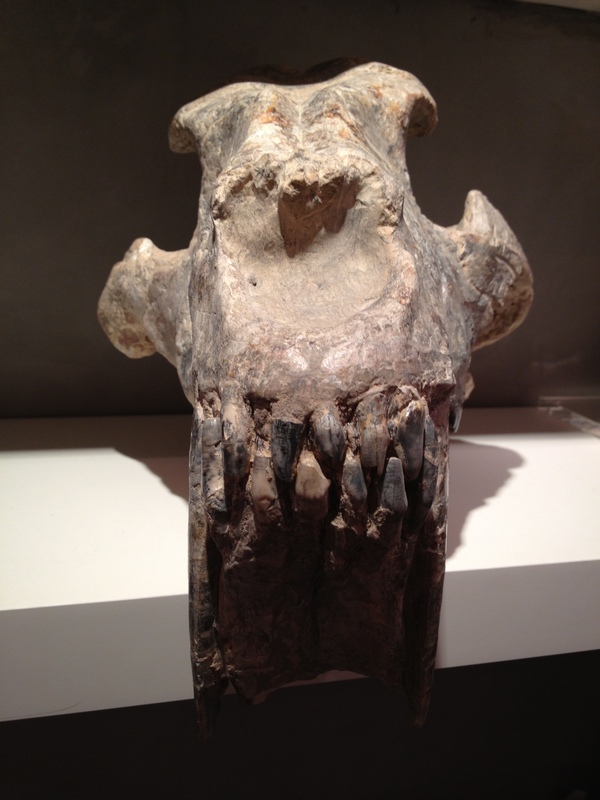 This further evolved in in Homotherium, which is believed to be a descendant of Machairodus. Machairodus giganteus, the largest known species known within the genus Machairodus, was a large lion-sized saber-toothed cat with elongated upper canines and cheek teeth efficiently adapted for slicing meat. The animal is known mostly from a variety of fragmentary fossils found through Europe and Asia, with the best-preserved skulls coming from China. Once believed to represent two separate species, one existing in Europe and the other in Asia, the fossils were later united by the Swiss paleontologist Gérard de Beaumont to represent a single species. Machairodus was about 200 cm long and more muscular than a modern lion. Its powerful build and short legs suggests that it was an effective ambush predator. It was likely to have featured spots or stripes for concealment. 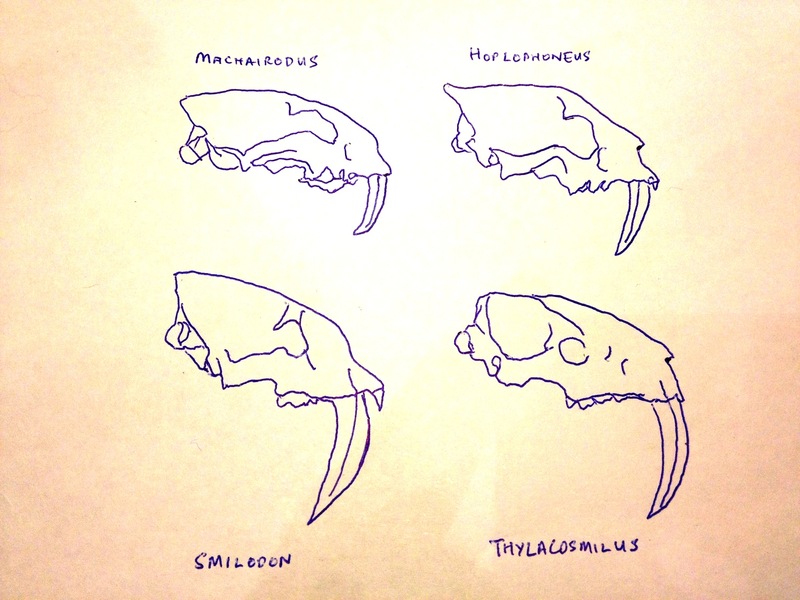 M. Giganteus featured sexual dimorphism, with males much larger than females.The Machairodus skull is narrower than that of the modern pantherine big cats, with a longer muzzle, relatively small orbits, and a jaw that could open 120 degrees. 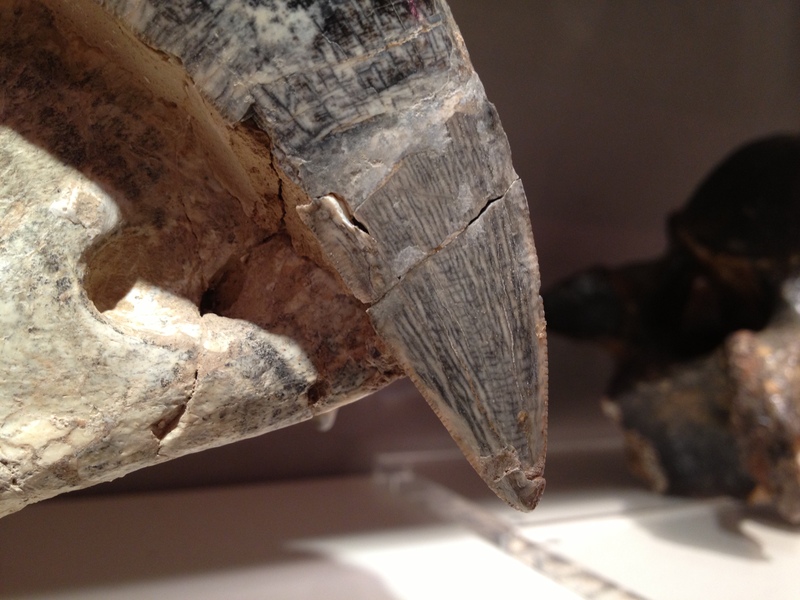 Its maxillary canines were broad like the Homotherium, serrated on the front and back edges as they first grew and worn down in the first few years of life. They were more firmly rooted to its mouth, fit more easily in its mouth, were less fragile than other saber-toothed cats, and hung out less awkwardly. This suggested that they were likely used to slice open the throats of its prey rather than suffocate them. This ‘king-of-saber-tooths’ was possibly a pack hunter, the apex predator roaming the savannahs of Central Asia, such as the Hezheng County of Gansu Providence in China. These plains that resembled the Serengeti in Africa today. M. giganteous preyed on herds of gomphotheres, hippo-like rhinos, giraffids, and medium-sized fast-running antelope. It closest competitor was Dinocrocta, the giant hyena, which reached the size of a grizzly bear. 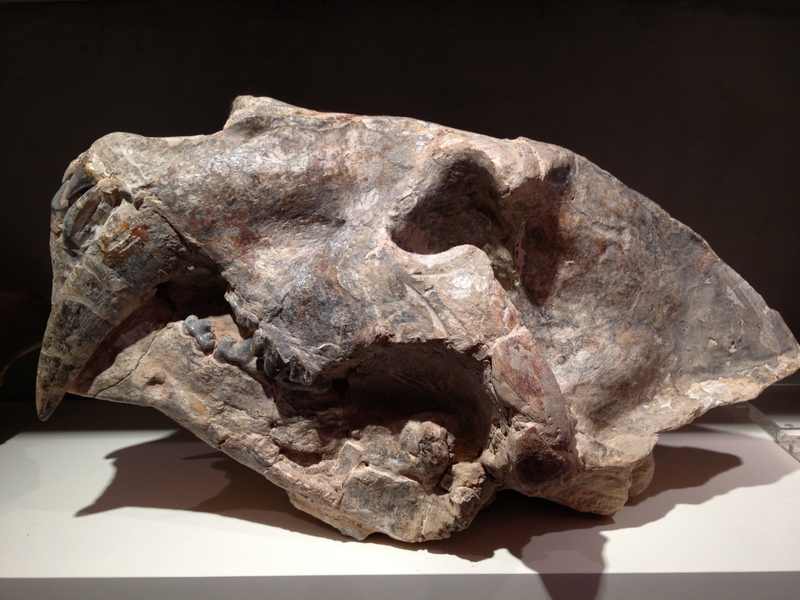 Fossil specimens of M. giganteus are exceedingly rare, with many museums discovering only fragmentary specimens. This has resulted in high prices on the rare occasion that specimens are publicly-available. For instance, two years ago Bonhams auctioned another M. giganteus specimen from Asia for USD 116,500. This impressive 5 million year old specimen of a Machairodus giganteus skull from Asia is 16″ long, 9″ high, and 10″ wide, with its canines measuring 4.5″ top to bottom. 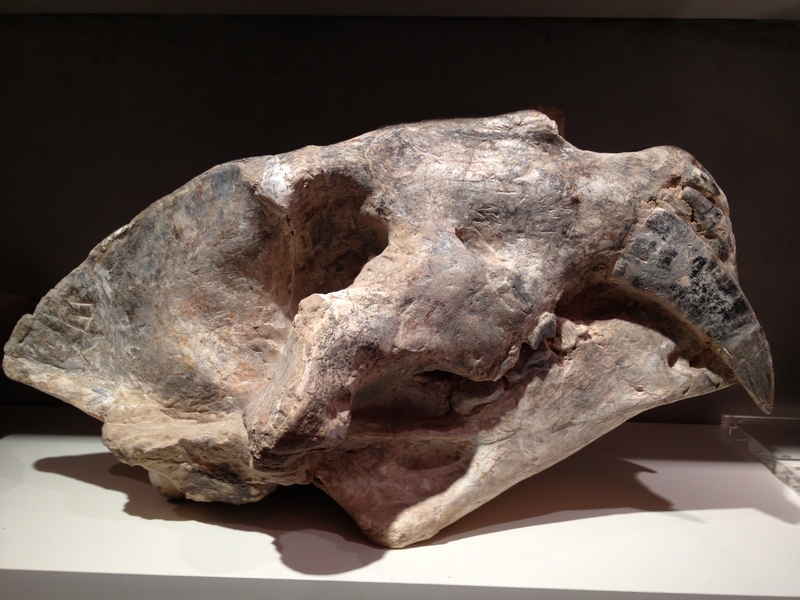 The skull is 98% inflated with very slight distortion. This entry was posted in Uncategorized and tagged gomphotheres, Homotherium, La Brea, Machairodus giganteus, Miocene, Pleistocene, saber-tooth, saber-toothed cat, Sabertooth, Smilodon, tiger. Bookmark the permalink.